Detroit --The City Council voted 6-3 this afternoon against asking voters in November if they want to authorize mayoral control of the Detroit Public Schools. Dozens in the audience erupted in applause and shouts of "it's all over." The council rejected a proposal fine-tuned this afternoon from Council President Pro Tem Gary Brown that would have asked voters Nov. 2 if they support the elected board or want the mayor to supervise schools. The plan called for the mayor to appoint the superintendent and the current board to be replaced with an advisory board of two parents, two teachers and three other stakeholders. The City Council would also play a role in school finances. Brown supported the measure along with Council President Charles Pugh and Saunteel Jenkins. Members Kenneth Cockrel Jr., Andre Spivey, Kwame Kenyatta, JoAnn Watson, Brenda Jones and James Tate opposed it. They killed the plan despite heavy lobbying by Mayor Dave Bing, Gov. Jennifer Granholm and U.S. Education Secretary Arne Duncan to let residents weigh in before DPS Emergency Financial Manager Robert Bobb's term ends in March. During a highly charged debate that spread out over three weeks, activists likened the proposal to slavery and claimed it subverts democracy because it could have abolished the 11-member board. Even if voters had approved the advisory referendum, the Legislature still would have had to approve changes to the district's governance. And many activists worried that Lansing would not adhere to the wishes of the city's residents. "This is our school system, not yours," said Mildred Madison from the League of Women Voters, who also pushed a successful advisory referendum last November calling for City Council members to be elected from wards rather than the city as a whole. "This is a state issue and it never should have come to you. We have an elected school board. Let them do (their) job." Activist Malik Shabazz warned council members would invite "war" if they approved the measure. "I ask you to do the right thing," Shabazz said. "Why don't you all do the job you are elected to do? The council and mayor can do something about homelessness, (and) the loss of residency, which is destroying the tax infrastructure of this city. If you pass this, it means outright war. We're going to recall y'all and march on your houses." . . . .
Obama: Splitting the Difference Between "No Excuses" and "Yes You Can?" In this speech, Obama talks about having an "honest conversation." Too often, however, his talk is simply not honest. This was a disturbing and angering talk, even if it was rather as expected. Here are some excerpts from the speech with my comments -- his excerpts are quoted. The speech is not paginated; his comments on education start ¼ - 1/3 way through. "I remember going to a school back in my organizing days and seeing children -- young children, maybe five or six -- eyes were brimming with hope, had such big dreams for the future. You'd ask them, what do you want to be when you grow up? They'd want to be a doctor; they'd want to be a lawyer. And then I remember the principal telling me that soon, all that would change. The hope would start fading from their eyes as they started to realize that maybe their dreams wouldn't come to pass -- not because they weren't smart enough, not because they weren't talented enough, but because through a turn of fate they happened to be born in the wrong neighborhood. They became victim of low expectations, a community that was not supporting educational excellence." That last sentence is the sort of slipperiness that needs careful attention. It may be true as far as it goes, but that is not far. Check out inadequate housing (including lead paint) and homelessness; lousy jobs, lousy-paying jobs, and joblessness; structural continuing racism; inadequate health care; largely non-responsive government; corporations whose lust for profits leads to mass social destruction. Every one of these may well be more important that teacher low expectations -- never mind when put together. And that sentence ignores the systematic under-resourcing of those schools by local, state and federal governments -- as if 'communities' -- some urban neighborhood facing poverty and its consequences -- are the problem in a lack of 'educational excellence.' This slipperiness leads to claims that civil rights can be attained virtually solely by a focus on schools, even while failing to fund them adequately. Of course he defends RTTT even though its main tenets are not backed up by any evidence, as FEA, the civil rights groups and the community groups all point out. He simply asserts that because states are doing (were stampeded/bribed into doing) what Duncan wanted, they are automatically improving. Who needs evidence? "I told you we're going to have an honest conversation... First, I know there's a concern that Race to the Top doesn't do enough for minority kids, because the argument is, well, if there's a competition, then somehow some states or some school districts will get more help than others. Let me tell you, what's not working for black kids and Hispanic kids and Native American kids across this country is the status quo. That's what's not working. (Applause.) What's not working is what we've been doing for decades now." First this avoids the real issue raised by civil rights groups, the lack of necessary resources and the misuse of competitive grants. Next is an all-too-typical maneuver -- defending whatever you are doing by saying what is happening now is not working. In some ways quite obviously the current is not working well, though the diagnosis Obama offers is wrong and self-serving to his administration (first quote above). The obligation when things are not going well is to do things that have a plausible chance of working better and that won't make things worse. Much of RTTT fails on both counts. It's true that RTTT applications require addressing low-scoring schools, mostly serving poor kids of color -- but that is the four models for turnarounds that are so bad that both parties in both houses of Congress are clearly rejecting them. So he is slipping from the rhetoric of "do something" into defending what cannot be defended with actual evidence. He goes on with a litany of things he wants for teachers, whom he calls the central focus on reforms (like meritless pay for boosting test scores, I suppose). First, the focus on teachers has become both an excuse to ignore poverty, and second an excuse to attack teachers. Second, what he calls for cost -- and the money it would really take to do them is not going to be available, even more so now that Obama has said he agrees with Republicans and conservative Democrats the US cannot expand deficits with expanded programs -- even as he expands military spending. Note also his language is all about "I want," not what his administration will fight to do. "But all I'm asking in return -- as a President, as a parent, and as a citizen -- is some measure of accountability." "So, for anyone who wants to use Race to the Top to blame or punish teachers -- you're missing the point. Our goal isn't to fire or admonish teachers; our goal is accountability." So blame states for doing what Duncan clearly signaled he wanted them to do? And does Obama think people forget both he and Duncan applauded firing more than half the teachers in Central Falls, RI? Or the refusal by Duncan to allow even one strongly evaluated, widely liked principal in VT to keep her job by offering even one waiver (as Mike Winerip recounted in the Times)? One size does fit all to these folks -- and it is about firing. Also, with the discussion of removing teachers, including test-score gain models (we should stop referring to this as "growth" as if it were a person), evidence continues to roll in, most recently from the federal government itself, that such models are not ready for prime time (see Valerie Strauss Answer Sheet and the links from it, especially to Baker's comments. "And part of making sure our young people meet these high standards is designing tests that accurately measure whether they are learning. Now, here, too, there's been some controversy. When we talk about testing, parents worry that it means more teaching to the test. Some worry that tests are culturally biased. Teachers worry that they'll be evaluated solely on the basis of a single standardized test. Everybody thinks that's unfair. It is unfair. "But that's not what Race to the Top is about. What Race to the Top says is, there's nothing wrong with testing --- we just need better tests applied in a way that helps teachers and students, instead of stifling what teachers and students do in the classroom. Tests that don't dictate what's taught, but tell us what has been learned. Tests that measure how well our children are mastering essential skills and answering complex questions. And tests that track how well our students are growing academically, so we can catch when they're falling behind and help them before they just get passed along." As rhetoric, some of this sounds good. In fact, RTTT uses existing tests that embody the flaws Obama points to. Even if the new tests to be produced by multi-state consortia are better, as they might be, that won't be till at least 2014-15. And based on my review of their proposals, they will only be marginally better. They won't really do what Obama says he wants them to be able to do. They may well both "stifle" and "dictate." It will take a lot more than a limited number of possibly somewhat better tests to overcome the destructive consequences of imposed high-stakes testing, and this speech makes clear that they want high-stakes standardized testing to continue. Then he is back to defending the four turnaround models. He follows Duncan in calling for "good charters," even though the Department has no criteria to ensure good charters prevail and bad ones do not. Once again we get the single example (here in MA some of those examples are profoundly flawed, BTW.) And he avoids addressing the issues raised by the Civil Rights groups in their statement. Educators have complained that the standards and tests for reading and math narrow the focus of instruction to just these subjects. Diane Ravitch told us recently that the feds' reaction to this complaint is simple: Test everything. In other words, they are saying, "test us too." Apparently, these groups approve of spending billions to develop national standards, tests linked to the standards, and new textbooks, and are eager to add even more testing to the unbelievable load that is currently planned. There is no evidence that more rigorous standards and increased testing leads to better achievement; in fact, there is tremendous evidence that it has the opposite effect, converting instruction into test-prep rather than real learning. These proposals also ignore the most serious problem in American education, under-funded schools in high-poverty areas that do not have the means to provide children with what they need to succeed. In 2006 the New York State Department of Education, in collaboration with Bloomberg's edu-goons in the City, decided amongst themselves to make it easier for New York children to pass the state test. While this news was kept from the public, what did get publicized was Prince Mike's sudden decision the same year to end "social promotion." The following year in 2007 New York City (and state) test scores soared, and, of course, the No Excuses CEO schoolmen had another piece of "evidence" to support the charter/privatization agenda and their pedagogical credo of "Punish Them and They Will Respond." Why did the number of students at level 1 [the lowest scorers] plummet? Becase the state lowered the bar and made it easier for students to reach level 2. 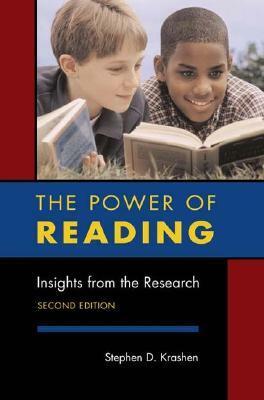 On the sixth-grade reading test in 2006,students needed to earn 41 percent of the points to attain level 2; by 2009 students in that grade needed only 17.9 percent. In seventh-grade math, students needed to earn 36.2 percent of the points on the test to advance to level 2 in 2006, but by 2009, they needed to earn only 22 percent. The standards to advance from level 1 to level 2 dropped so low that many students could get enough correct answers to pass to level 2 by randomly guessing (p. 79). Scores continued to soar through 2009, when Bloomberg squeaked out a re-anointment from the voters and the State as Prince of Schools for another term. It couldn't have been done, however, without the help of fellow partners in crime, Gates and Broad (Ravitch, 2010, p. 80). So now that Bloomberg's rule has been assured for years to come, it is time for the chickens to come home to roost, as they must, in preparation for the test score evaluation scheme that is being developed to kill off the teaching profession in Gotham and throughout the State (RTTT, anyone?). After all, the need for the last charade is over, even as a new charade is about to begin. Meanwhile, will anyone hold the Mayor accountable for the fact that at PS 179 in the Bronx the percentage of 3rd graders proficient in Math went from 91% to 21% in one year? Will anyone be accountable for the hundreds of thousands of children's educational plans that were devised with nothing but phony data to use? Don't count on it, for the Prince and his covey of yes men in Albany have already made an appeal to Duncan to keep the hundreds of suddenly-failing schools off the federal rhymes-with-hit list. And with Gates and Broad giving Duncan his orders, who possibly to say no to such a request? Applying new, tougher standards, state education officials said Wednesday that more than half of public school students in New York City failed their English exams this year, and 54 percent of them passed in math. The results were in stark contrast to successes that Mayor Michael R. Bloomberg had heralded in recent years. When he ran for re-election in 2009, he boasted of state test scores that showed two-thirds of city students were passing English and 82 percent were passing math. But state education officials said that performance was misleading because those scores were inflated by tests that had become easier to pass. The scores released on Wednesday were the first attempt to establish what the officials considered a more trustworthy measure of students’ abilities. “Now that we are facing the hard truth that not all of the gains were as advertised, we have to take a look at what we can do differently,” she said. “These results will finally provide real, unimpeachable evidence to be used for accountability.” . . . .
Unimpeachable, indeed--Merryl Tisch should be retired to her principality, and parents and teachers should march on City Hall and camp out there until Bloomberg and Klein are impeached and the whole house-of-cards corporate education system is replaced with democratically-elected board members. Improve education to eliminate poverty OR eliminate poverty to improve education? My comment on "Duncan Outlines 'Equity' Agenda," Ed Week blog by Mark Walsh (School Law). The Duncan formula is this: Improve education with rigorous standards and testing, and this will take care of poverty. But high levels of poverty make educational achievement impossible: The impact of hunger, toxic environments, lack of health care and lack of reading material on school achievement is devastating. When studies control for poverty, American children do very well on international tests, indicating that there is nothing seriously wrong with our educational system. Our scores are low only because we have so many children living in poverty, and the highest of all industrialized countries (22.5%, compared to Sweden's 2.5%). Improving education is not the path to eliminating poverty. Eliminating poverty is the path to better school achievement. All the money going to new standards, new tests, and of course new textbooks, should be spent on protecting children from the effects of poverty: Proper nutrition (no child left unfed), health care, and access to books. U.S. Secretary of Education Arne Duncan today said his department would push for policies promoting equity in the schools for poor and minority students, in particular announcing plans for an Equity and Excellence Commission to promote fiscal equity among schools. "In so many ways, our reform agenda is all about equity," Duncan said in an address to a conference marking the 100th anniversary of the National Urban League, according to an Education Department release. "Competition isn't about winners and losers. It's about getting better." The 15-member equity commission, authorized by Congress in the fiscal year 2010 Consolidated Appropriations Act, will obtain broad public input about inequities in K-12 education and examine how those inequities contribute to the achievement gap. The panel will submit recommendations to Duncan, the department said. Next week, the department will publish a notice in the Federal Register asking for nominations for the panel. Earlier this week, several civil rights groups, including the Urban League and the NAACP, called on Duncan to dismantle core pieces of his agenda. As Education Week's Politics K-12 blog reported, the groups canceled or postponed a press event, possibly in light of the fact that Duncan was speaking to the Urban League conference on Wednesday and President Obama is to address it on Thursday. Michelle Rhee's Teacher Evaluation System Deemed "Idiotic"
. . . .There’s no polite way to say this: The procedures described in the DCPS IMPACT Guidebook for producing a value-added score are idiotic. These procedures warrant this harsh characterization because they make a preposterous assumption based on a misunderstanding of the properties of the DC Comprehensive Assessment System (DC CAS). . . . .
TO OVERHAUL "NO CHILD LEFT BEHIND"
For the past several months, Congressional committees have been quietly working to reauthorize federal requirements that mandate massive over-testing and the misuse of tests for major decisions about schools. As you know, the so-called "No Child Left Behind" law, the current version of the Elementary and Secondary Education Act (ESEA) resulted in dumbed-down curriculum with schools becoming test prep programs but little progress in improving student learning or narrowing achievement gaps. Your elected Senators and Representative must hear your voice NOW if we are to stop plans to make federal law worse and win positive benefits for our nation's children and their schools. Congress will be in recess during most of August and the first half of September. Many members will be in their districts running for re-election and meeting with constituents. This is a critical time for supporters of assessment reform to visit with their Representatives and Senators. The easiest way to do this is go to the website of your Representative or Senator, find the location(s) of their local offices, and call to set up an appointment. Push hard to meet with the elected official, not just staff. - To find the name of your Rep., go to: http://www.votesmart.org. Enter your ZIP + 4 Code to get the most accurate information. 1. Provide for states to develop a three part assessment and evaluation systemcomprised of local and classroom-based assessments; limited large-scale, state-wide testing (e.g., once each elementary, middle, secondary); and a statewide school quality review. 2. Reject proposed requirements to evaluate teachers based on their student's standardized test scores. 3. Support approaches to improving schools that are backed by research and evidence; reject "adequate yearly progress" (AYP) and Duncan's "turnaround" proposals. -see also FEA's report Redefining Accountability. 4. Fully fund ESEA Title I and the Individuals with Disabilities Education Act Part B (IDEA); reject the use of Duncans' proposed competitive grants. These recommendations and more have been made by the Forum on Educational Accountability and/or FairTest. Also, please let FairTest know when you have set up a meeting and what resulted from it, by emailing monty@fairtest.org. PS: FairTest needs your financial support to keep up its work to overhaul federal law. Please make a donation by clicking HERE or sending a check to FairTest, 15 Court Square, Boston, MA 02108. Today, a group of seven education and civil rights groups released a six-point plan for equitable and sustainable national education reform in this country. And, big surprise, the report is basically a 17-page repudiation of the Obama administration's education reform platform. Groups including the NAACP Legal Defense and Education Fund, the National Urban League, the Rainbow PUSH Coalition and the Schott Foundation for Public Education called for an end to many of Secretary of Education Arne Duncan's signature initiatives, and a commitment instead to policies that incentivize positive results and lay the groundwork for long-term change in the neediest school districts. On every major Duncan policy initiative--aggressive promotion of charter schools, turnaround models for failing schools, national education standards, punitive teacher accountability measures--the coalition had harsh criticisms. . . .
. . . .On charter schools, the civil rights groups write that not only is charter school performance uneven at best, but many charter schools only serve a small selection of the neediest students. The civil rights groups criticized the blind acceptance of charter school-as-panacea, because charter schools often don't accept as many students with disabilities, students who rely on free school lunches, and English language learners--many of the groups of students who could jeopardize their test scores. "While some charter schools can and do work for some students," the report says, "they are not a universal solution for systemic change for all students, especially those with the highest needs." Regarding "turnaround" models, the reform approach that demands mass firings of teaching staff when schools are deemed "failing," the report said that where they've been tried, they've rarely produced positive results. The Race to the Top Fund and similar strategies for awarding federal education funding will ultimately leave states competing with states, parents competing with parents, and students competing with other students. Moreover, even states that do not choose to compete for federal incentive funds should have an obligation to provide a standard of education consistent with protecting their children's civil rights. The civil right to a high-quality education is connected to individuals, not the states, and federal policy should be framed accordingly. Good federal policy should mitigate political inequities that serve as barriers to delivering the ultimate change that is so plainly desired and needed. By emphasizing competitive incentives in this economic climate, the majority of low-income and minority students will be left behind and, as a result, the United States will be left behind as a global leader. The Duncan-led Obama education reform crusade is built on several programs: the competitive grants program called Race to the Top, which rewards states with cash if they can prove they're committed to the Obama reform platform. Many states have successfully rammed through overhauls of their states' education laws to lift state caps on charter schools; tie teacher salaries (and job security) to their students' test scores; and adopt national education standards. Duncan's reform often looks like a slash-and-burn assault on educators. Case in point: one of the education reform movement's darlings, Washington, D.C.'s chancellor of schools Michelle Rhee, announced on Friday the termination of 241 teachers, and threats for another 700 teachers who could be fired within the year if their students' test scores don't improve. The stated aim is teacher accountability, by any means necessary. But in actuality, it just blames teachers for the plainly under-resourced and overly bureaucratic systems they work in. The new report coincides with the National Urban League's 100th anniversary and annual conference, where both Duncan and President Obama are scheduled to speak this week. LOS ANGELES, July 27 /PRNewswire/ -- The Broad Foundations announced today that Marc A. Schwartz has been named chief investment officer of its $3 billion portfolio, working closely with founder Eli Broad. He will start Aug. 9. Schwartz joins The Broad Foundations from Reservoir Capital Group, a more than $4.5 billion hybrid fund where he served for nine years as managing director, principal and vice president. Schwartz was a senior member of the Reservoir investment team and most recently was focused on private fund sponsorship and direct co-investments. Before joining Reservoir, Schwartz spent much of the previous decade working in senior positions at a global holding company and an international private equity firm. "Marc's vast experience in hedge funds, private equity and other similar investments that are consistent with our portfolio makes him a perfect fit," said Broad. "I am impressed with Marc's intelligence, drive, instincts and investment success, and we are delighted that Marc will join our team." Schwartz will work with Broad on the management of The Broad Foundations portfolio, as well as the Broad family's personal investments. I'm not sure how "vast experience in hedge funds, private equity and other similar investments" qualifies one to run a foundation dedicated (at least in part) to reforming public education, but hedge funders seem to be all over the place these days. Heck - some of them are even doing good things (!). From journalists and educators to politicians and parents, there is a growing sense that a silent corporate overthrow quiet revolution is underway in our public institutions homes and schools, classrooms and communities. On Tuesday, July 27, Secretary Arne Duncan will talk about this fascist undercover covert quiet revolution in a major speech at the National Press Club at 12:30 pm ET. This quiet revolution is driven by corporate oligarchs motivated parents who want more better business opportunities educational options for the education industry their children and is driven by corporate foundations educators and administrators who are claiming huge tax credits challenging the inertia that will guarantee a generation of compliant workers has trapped generations of children in second-rate schools. The Obama administration would rather not admit that it is playing a key modest role in sparking this unpopular overthrow of schools quiet revolution through outright bribes Race to the Top and other bundles of cash reform initiatives that are giving starving and desperate states the payoffs incentive to accept national testing raise standards, bust the unions improve teacher effectiveness, build constant surveillance data systems, and replace public schools with charters turn around low-performing schools. During the speech, Duncan will announce Race to the Top finalists. There are three levels of insanity at work here. One is derived from the loony concept of a "gifted kindergarten." The second radiates from the craziness of using standardized tests on 4 year olds with any expectation of validity. The third emanates from the first two, and it is a form of social neurosis grounded by class and race. In the bad old days, NYC teachers and staff interviewed children, observed them, and made selections for kindergartens that assured some modicum of diversity in the City's best kindergartens. In the Klein new days, Bloomberg's edu-clowns now depend upon a single standardized test that guarantees that all seats in the handful of kindergartens where children are treated as children go to the privileged. These days those schools are for the smart kids of the affluent who can afford the expensive cram tutors for their 4 year olds. The rest, smart or not, who can't afford the tutoring must begin a life of institutional remediation for which we know there can be no institutional remedy outside of changing socioeconomic status. Again, score one for the kind of objectivity guarantees the advantage to those who already have it and treats everyone else as objects.
. . . .Back then, under a decentralized selection process, teacher assessment, classroom observation and interviews all played a role. That approach was criticized as vulnerable to political manipulation and racial favoritism, since districts could take into account increasing diversity in making selections. “The process was fractured and inconsistent, and programs were too often gifted in name only,” the city education chancellor, Joel I. Klein, said in an e-mail message. In 2008, Mr. Klein made the score on a citywide standardized test the sole criteria for admission. Mr. Klein is a leading testing proponent for everything from grading schools to rating teachers, and he predicted that a citywide test would be a more equitable solution. Since then, there have been two major developments, neither looking much more equitable than the old system. Blacks and Hispanics in gifted kindergarten programs dropped to 27 percent this year under the test-only system, from 46 percent under the old system (66 percent of city kindergartners are black or Hispanic). And a test-prep industry for 4-year-olds has burgeoned. Bige Doruk opened Bright Kids NYC in 2009, and there is so much demand that she says she’s opening a second site this month. She runs a two-month “boot camp” for the gifted test in the fall that includes eight one-on-one 45-minute sessions and two test-prep books for $1,075. It’s already half-booked, Ms. Doruk said, “and I haven’t even publicly announced it.” . . .
Until national attention was finally drawn to the racist Tea Party's Gang of Five on the Wake County School Board, the Republican Party had been content to let the haters of Wake's school diversity plan frame their argument as being opposed to liberal "social engineering." This thinly disguised racist meme was uttered by all of the Tea Partiers who were working overtime to overturn the successful Wake County diversity plan, whether it was Little John Tedesco at a big Tea Party rally or anti-diversity pioneer, Susan Matson, who could not wait to see an end to the "social engineering" that had brought Wake County to the point where there were, indeed, no bad school in Raleigh. If there ever were a failed policy of the past, it is forced busing. For about 35 years, zealous reformers tried it hither and yon, and it never worked anywhere. Finally, in 2007, the U.S. Supreme Court outlawed forced busing for racial purposes. The Wake County busing plan was designed to exploit a supposed loophole in the decision, and used the code word economic as a surrogate for racial. Whether this trick would survive a court challenge is questionable, which may be one reason the protesters have done much talking about suing the board but have yet to follow through. A couple of points are in order here. First, the 2007 SCOTUS decision to which Chairman Pope refers had nothing at all to do with busing but, rather, the constitutionality of using race as a factor in school desegregation plans in Seattle and Louisville. The racists on the U. S. Supreme Court prevailed, thus further eviscerating Brown v Board of Education. Busing was not even mentioned in the decision. Secondly, the socioeconomic diversity plan, which the Chairman now calls a "busing plan," was not devised to exploit a loophole in a 2007 Supreme Court decision, particularly since the Wake County socioeconomic diversity plan was put into effect seven years earlier in 2000. But when did facts ever matter to these fear and hate specialists! With such deliberately ignorant social antiquarians in charge of the Research Triangle, how long can it be before the Triangle reverts back to the piney woods, just like the Claude Popes of the world would like for it to be. There might not be a more controversial topic in education reform than the effectiveness of Teach For America. Andrew J. Rotherham addressed some of the research around TFA in an Eduwonk blog posting today, but it's not really what he says about TFA that piqued my interest. Instead, Rotherham made some comments about education research that deserve a bit of attention. In other words, the problem of the easily fooled or the agenda-driven becomes everyone’s problem because it further clouds already complicated issues. Fair enough, Andy. But the reasons this caught my attention has to do with EdSector's scrubbing of Tom Toch's CMO report that was released in late 2009. Can Rotherham really claim the high road here when his think tank obviously cut significant sections from Toch's original report and inserted additional comments in order to fit the views of the pro-CMO crowd? Long allergic to the idea that libraries are important, the International Reading Association IRA managed to include a brief mention of "local libraries" at the end of this article in the latest IRA Inspire. No mention of school libraries. By the way, the mission of the IRA is, according to their website, "is to promote reading by continuously advancing the quality of literacy instruction and research worldwide." Research strongly suggests that school library quality is the core element in literacy instruction. There’s no denying: For convenience, book buyers can’t beat Amazon and other online booksellers. Where else can you search for “beach” books, and come up with 28,226 possibilities? But there’s still something special about a bookstore with walls and shelves and a door. What teacher can resist the display of new fiction and nonfiction, a great assortment of kids’ books in a special family-friendly area, sections for particular interests, the bargain table? Whether your summer travels take you to Portland or to Victoria, BC (don’t miss Munro’s Books!) or London (do you prefer Foyles, or the little shops in Bloomsbury?) or New York (are there really 18 miles of books at The Strand? )—or to the mall up the road—take some time to visit a bookstore this summer, and experience a little euphoria. You can find that feeling at your local library, too! Students are different. Or are they? This was also published in IRA Inspire. The International Reading Association supports rigid and rigorous language arts standards that insist that all students follow the same path and take the same tests at the same time. It does not recognize individual variation in rate of literacy development, interests, or that "students are different" in any way. "I was at the bottom in reading skills and spelling skills. I was a very, very slow reader and couldn’t read out loud or silently. It began in first grade and continued in second grade, third grade, and on and on and on…." He repeated first grade, spent years with tutors, but even now, as an adult, he has trouble with spelling and oral reading. But Roy is also a leading medical researcher, with a doctorate and a string of publications and awards. "My interest in chemistry started with my interest in airplanes in grade school. That quickly converted to propellant systems in seventh and eighth grades. I set up a lab in my basement and did experiments. That early experience was useful, building your own confidence." With a passion for science and a curiosity to learn, and with the support of family and teachers along the way, he harnessed multiple intelligences and followed an unusual path to literacy. Which goes to show: Students are different, and they learn in different ways. Once teachers find those ways, great things are possible! This was published in IRA Inspire, sent out on the internet from the International Reading Association. It is very ironic that an IRA publication defends literature in this way, when the IRA has enthusiastically supported the standards movement and the LEARN act, which promise to wipe out this kind of literature teaching in favor of the approach that the "observer" in this classroom represents. “I read it because it’s beautiful,” I said. Were richer in spirit than when we began. Always in my “lesson” plan. Michelle Rhee, the reform-minded chancellor who took over the District of Columbia public schools three years ago, on Friday fired 241 teachers, or 5 percent of the district’s total. All but a few of those dismissed had received the lowest rating under a new evaluation system that for the first time held them accountable for their students’ standardized test scores. All told, the district terminated 302 employees — 226 for poor performance, and 76 for other problems like not having the licensing required by the No Child Left Behind act. Besides the 241 teachers, those dismissed were librarians, counselors, custodians and other employees. . . . Still waiting for Obama and Duncan to applaud. Arne Duncan stood before the NAACP convention last week to repeat his claim that “education is the civil rights issue of our generation.” He also declared “the only way to equality in society is to achieve equality in the classroom.” Since Mr. Duncan did not spell out what he meant by equality or civil rights, let’s see if we can extrapolate his meaning from the policies he is pushing hard to be adopted across America, even if his heavy-handed forcing means ignoring the lawful Congressional role in making federal education policy. Apparently, Mr. Duncan does not believe that the equality shortage in classrooms that we have known about ever since poor children started going to school can be helped by fair housing policies, better transportation policies, improved health policies, or new jobs policies, any of which we know could affect the poverty levels of urban and rural America, where rates are now the highest, after taxes, of any industrialized nation. According to Mr. Duncan, it would seem that policy shifts or new efforts in these areas are unimportant, for it is “only” in the classroom that we may hope to achieve equality. Well, what kind of equality in the classroom would that be? Apparently, it is first and foremost a segregated kind of equality, a segregation that is aided by the spread of charter schools, which remains a top priority of the Administration. Two studies last year, in fact, showed incontrovertible evidence for the segregative effects of charter schools, whether run by non-profit or for-profit corporations. So by ignoring segregation within charters, we must assume that the kind of equality that Mr. Duncan is talking about does not depend upon the sharing of social and cultural capital that occurs when socioeconomic classes are educated together, and it is the kind of equality that apparently pays no attention to the facility and funding advantages accrued when middle class parents lend their voices to decisions within the schooling community. Secondly, it has become a harsh, punishing kind of equality centered on remediation, ever since the “let a thousand flowers bloom approach to charters” has been replaced by an urgency to ramp up and bring to scale the “no excuses” KIPP schools and the KIPP behave-alikes. In these "no excuses" schools, equality demands total compliance by children who go to school nine or more hours a day and then have 2 to 3 hours of homework each night. Plus Saturdays and part of the summer. In order to be equal in these school and, thus, make up for the poverty that puts these students behind, they must be willing to give up their childhoods, family, and friends for a chance at passing the necessary tests that may or may not prepare them for college some day. 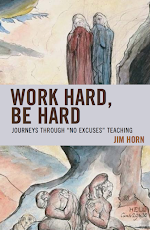 For even though the “no excuses” chain gangs remain the dominant model for corporate education reform, we know very little about how these children will fare in independent learning environments after years of total compliance and behavioral/psychological modification. Thirdly, it is the kind of equality that denies the importance of the other massive inequalities within the communities where these poor children live. It is the kind of equality that does nothing to aid the child who must dodge bullets on the way home from a 9-hour school day, or who must return home to find nothing to eat. It is the kind of equality that refuses to enroll a child whose parents are not willing to sacrifice their child to a schooling regimen that parents of the leafy suburbs would consider abusive to children if it were their own being subjected to it. Fourthly, it is the kind of equality that depends upon assessments that put poor children at a great disadvantage all along the line, for there is no standardized test used in schools today, whether in third or thirteenth grade, that does not demonstrate, on average, a direct correlation between family income and testing outcomes. In short, it is the kind of equality that depends upon a race that has many starting lines but only one finish line, a race wherein the hordes of losers claim their place among those who deserve to be the “unequal,” children who will be dropped out, pushed out, and eventually forgotten behind the walls of the workhouses and correctional facilities that mark the destination in the school to prison pipeline. If Arne Duncan’s views on equality are evidenced in his actions, it leaves us with a troubling realization. For to understand that for Mr. Duncan to be right in saying that “education is the civil rights issue of this generation,” we must stand shamefaced in admitting that civil rights now demands from equality what we previously could expect only from oppression. This is part three of a three part series on charters and philanthropy. I offered a brief overview of philanthropy's options for expanding charter schools in part one, and looked at a recent report on charter management organizations (CMOs), the darlings of big philanthropy, in part two. Part three was supposed to look at: how Tom Vander Ark commented on the report via his blog, EdReformer; how one of the CRPE researcher's responded to his summary; how Tom responded when presented with evidence that contradicted his claims; and why this is all significant. One problem: the comments have been removed from Tom's bog, which means I don't have the primary evidence to offer readers. I'd strongly prefer to present the actual evidence instead of relying on my own summary. I'll try to track down the comments before explaining any further, and, if that comes up fruitless, I'll resort to my own recollection of the comments (with some help from a few others that certainly read the materials). The scientific community is in accord on the dangers inherent in making high stakes decisions derived from test scores based on "growth models." An explicit warning was issued by the National Academies last Fall to Arne Duncan and anyone else interested enough to read the warning label on the growth model snake oil. We now know that 165 teachers fired today by The Witch were evaluated using the growth model scores, and it is clear that Rhee and Co. have blood on their hatchet and are ready for more. No support, no improvement plan, no warning, no professional development plan, just Bang, you're gone. . . .Union leaders and some teachers have bitterly objected to IMPACT, which was devised in collaboration with a private consultant, Mathematica Policy Research. Although school officials convened teacher focus groups to discuss the plan, it was not subject to collective bargaining. Some teachers call it overly complex and dependent on an unreliable statistical methodology for linking test scores to individual teachers. WTU President George Parker said the program is designed to weed out teachers rather than to help them improve their practice. "It's punishment-heavy and support-light," Parker said. The IMPACT-generated dismissals are likely to spark a new round of debate about Rhee's treatment of teachers. D.C. Council Chairman Vincent C. Gray, who is challenging Mayor Adrian M. Fenty in the Sept. 14 Democratic primary, has made Rhee's management part of his critique of Fenty's education policy. . . .
Dan Katzir is leaving his position at the Broad Foundation. LAUSD Superintendent Ramon Cortines will step down from his post next year. Might deputy superintendent John Deasy, a former deputy director of education at the Gates Foundation recently hired by the district, replace him as the head ed honcho in LA? I'll conclude my three part series tomorrow. Part 1 here and part 2 here. Yesterday I asked readers to imagine a scenario where they had billions of dollars to give away and a keen interest in charter schools. We put the "charter schools: good or bad" debate to the side and looked at the options available for expanding charters: the EMO (for-profit), the CMO (nonprofit version of EMO), and the stand alone version. Philanthropy largely went with option #2, the CMO approach. They dropped $500 million on CMO expansion between 1999 and 2009. The Gates Foundation also invested in the small schools model (breaking up large high schools into smaller learning environments), but the foundation largely abandoned that effort because it was not as successful as they wanted and didn't have the potential to impact more students. I'm not going to get into the debate of whether or not the small schools experiment was a success or failure - that's too big of a question and really deserves its own discussion (see, for example, the work of Mike Klonsky). And, like the charter debate, any simple "yes/no" answer neglects to investigate the immense gray area resting between the two overly simple answers. We're going to continue the fantasy of having billions of dollars and an interest in education reform. We're going to continue leaving the charter debate on the side. And we're going to add one more stipulation: we don't just embrace charters, we want to expand them, and expand them quickly. This is partly what attracts us to the CMO model vs the stand alone model: one has the potential - if not the explicit mission - of replicating to scale, the other doesn't have much interest in expanding past their one school. What does philanthropy have to show for their $500 million investment in CMOs? Have they created a structure that can expand to serve more students; prove successful academically (as defined by test scores and possibly a few other measures); and establish financial sustainability? Luckily for us, there are two reports that shed some light on the results of our half billion dollar investment. 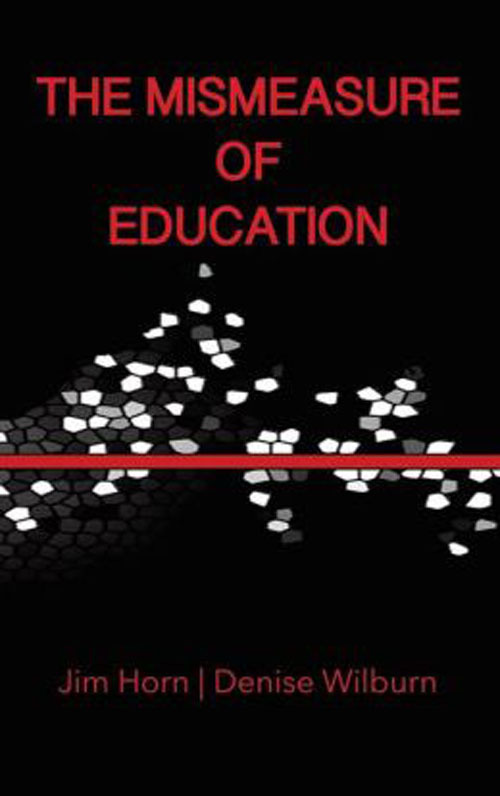 The first report, released in late 2009, was published by EdSector. "Growing Pains" addressed some of the challenges and successes of CMOs - but there's more to this report than what appears in the published version. Turns out there was a lot of editing done before the report reached the public (sans the primary author's name). You can read the initial draft here and see for yourself what EdSector left (cut) out. But a recent report sheds even more light on CMOs. The Center for Reinventing Public Education released an interim report about their multi-year study of CMOs. The project is funded by the Bill and Melinda Gates Foundation and the Walton Family Foundation through the NewSchools Venture Fund. You can read the interim report here. Their analysis doesn't comment on academic successes, it only focuses on the business aspects and policy implications. I'm going to give a fairly brief summary of their interim report and highlight some parts of it that readers may find interesting. CRPE is certainly a charter-friendly institution, so I'll skip the parts where they praise charters and stick to their concerns. Just keep this in mind: I'm not claiming to be giving you a balanced overview of the report. I'll leave out my own commentary as much as possible and let their words/statistics speak for themselves. The CRPE report looked at 43 CMOs. The only ones included in their study were those operating more than 4 schools and those with non-profit designation since their inception. Of those 43 organizations, ten were selected for a more in-depth study, 20 schools run by CMOs were selected for collecting additional information, 86% (37) CMOs replied to a survey, 17 business plans were reviewed, and district personnel were interviewed to offer the district's perspective. 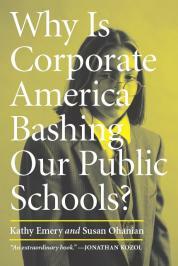 The authors note that only 12% of charter schools are run by management organizations. However, they're concentrated in six states (CA, TX, AZ, IL, and OH) and certain cities. A third of the CMOs in their study operated in CA. CMOs face a number of challenges: political, operational, and academic. Political challenges revolve mostly around charter laws and relationships with local communities, including school districts. Operational challenges include teacher turnover (which is not always a negative), access to facilities, and achieving sustainability. And, although the report doesn't get into achievement details, there are some comments about the academic challenges: professional development, expanding into the high school years, and getting students ready for college-level work. This report largely focuses on the operational/financial challenges faced by CMOs. Many have questioned whether CMO models demanding extraordinary efforts from teachers are sustainable. There are particularly concerns about the "No Excuses" model that relies heavily on young, energetic teachers who are willing to work long hours to provide intense remediation to students and do "whatever it takes" to help students achieve, including giving out their cell phone numbers and taking calls at any time of day. To some degree, CMOs also rely on turnover to help stabilize overall salary costs. As principals told us, it would eventually break a school's budget if they kept most of their junior teachers and continued to giv them raises. Some CMOs are comfortable with higher attrition, as they are able to rely on their name brand or regenerative staffing networks like Teach For America to attract large swaths of new candidates. However, almost all CMO leaders had reservations about human resource sustainability in the long term, especially in the face of expansion. A general consensus among most CMO leaders interviewed was that expansion and, in some cases, high turnover, was tapping out the local hiring markets, and that new sources of teacher and principal candidates were critical. The report notes that not all schools faced turnover problems. Less prescriptive CMOs that recruited from the local labor pool had teachers working more traditional hours with lower turnover. One of these CMOs reported a 6% turnover rate, much lower than many other organizations relying on non-local help. Pedagogical approches varied from CMO to CMO. In fact, this variance is pretty symptomatic of the sector. There are definite patterns (particularly among CMOs of the same size), but a lot of variance. As a general rule, however, the bigger CMOs were more prescriptive. You have spiraling curriculum, real-world experience, and then you have drill and kill, right? There's always this kind of left approach and right approach. We are on the right. The schools that produce the highest results are one of two kinds of schools: schools that are significantly leaning to the right or the schools that are selecting their population. We don't select our population. But the most damning part of the report focuses on the financial sustainability of CMOs. Keep in mind the CMO was philanthropy's "big bet" on charter schools. They didn't go with creating an infrastructure that could support stand alone charter or services that would support community-driven, grassroots charters. Their "investment" (we're talking about venture philanthropy here) was $500 million in a structure that - hopefully - would be able to stand on its own somewhere down the line. A venture philanthropy model that requires endless input from the investors isn't a very good model. It's simply not sustainable in the long-run. Hell, even the Gates Foundation has a limited yearly budget. The idea of going "to scale" is attractive to CMOs and CMO advocates for two reasons: expanding means you reach more students, and expansion means you can take advantages of economies of scale in order to reduce costs. Running ten schools, the idea goes, can make your back office more efficient than running five schools (the cost per school is lower). It works out fantastically on paper, but flops in practice. CMOs didn't take into consideration the diseconomies of scale that result from a growing institution: the need for more employees as you expand into different grade levels; new employees to support opening schools; expansion into new markets; and the need for quality control as the organization grows. Toss in the need to add data managers, communications experts, and people to keep the organization running smoothly across different geographical locations. None of the 10 CMOs visited by CRPE have reached their own definition of financial sustainability. 65% of the business plans reviewed showed the CMO was not meeting their growth target. And, in fact, the bigger CMOs relied more heavily on philanthropic giving (16.3% of their budget) than mid sized (14%) or small (9.6%) CMOs. Their business plans relied on best-case scenarios. They'll face the same upcoming budget restrictions (or reductions) faced by traditional public schools and stand alone charters, and major philanthropies - while still well-endowed - may cut back on some of their giving. The financial picture, in other words, is not looking good. I'll add that Duncan has suggested CMOs will be part of the "turnaround" strategy for improving the 5,000 lowest-performing schools in the nation. CMOs, however, have shown very little interest in taking over schools, and, even if they did have an interest, the CMOs surveyed in this study are projected to open only 336 schools by 2015. This was philanthropy's $500 million bet. They've achieved a number of noteworthy CMOs that garner plenty of media attention. They'll likely have test scores that show dramatic successes, but even (some of) their own operators worry test scores are not enough. There's a high degree of turnover (which mirrors many inner city schools), and that will hinder expansion. Growth means becoming more bureaucratic, which runs counter to the movement's intentions. And we still don't have a system where schools do not have to rely on significant philanthropic support. I'll conclude this three part series tomorrow with a look at how one CMO advocate with very strong ties to the philanthropic/reform community commented on this report. I'll also comment on how the CMO gamble by philanthropy impacted the charter movement, how federal policy will be shaped partly by the lack of financial success of CMOs, and how this fits into the standards/accountability movement. Congratulations if you managed to read this far. "Hi, Arne. My name is Jesse Hagopian." As I locked eyes and firmly shook hands, I wondered if my years of teaching would be enough to help the freshman Secretary of Education gain the knowledge and skills he would need. Arne Duncan had come to the Seattle area on July 9 to address Aviation High School, and his visit happened to coincide with the American Federation of Teachers (AFT) convention taking place in Seattle. I joined the picket of teachers from the AFT who had journeyed to the high school with signs such as "Race to the Top: First place business, last place students." As we rallied outside the high school, the event planners grew nervous that we would disrupt this stage-managed affair. They offered us a meeting with one of Duncan's aides in exchange for our polite behavior during his address. We agreed, and after the event were escorted to a nearby classroom for the meeting. When an aide entered the room and told us, "The Secretary will come meet with you soon," I assumed he meant one of Duncan's clerical assistants would come write down our concerns. But a few minutes later, Secretary Duncan himself entered the classroom and took a seat in the center of the room, with us educators fanned out around him. WE TEACHERS pooled our collective experience that day to construct, on the fly, what turned out to be a comprehensive "lesson plan" for the schooling of Arne Duncan, driven by the essential question: "What is a quality education?" Our lesson was complete with a pre-assessment, a multi-stage lesson plan targeted at Arne's deficiencies, a concluding summative assessment and an intervention plan for follow-up assistance--not unlike what we would do with any other student at risk of failure. Our pre-assessment of Arne's skills was based on years of following Arne's speeches, writings and public policies--all of which have culminated in his "Race to the Top" initiative (RTTT) and his national "turnaround plan." RTTT is tied to a $4.3 billion fund to make states compete for desperately needed education money by using eligibility requirements to push for charter schools--schools publicly funded by taxpayers, yet run privately, outside the control of local school boards--and merit pay schemes where teachers are paid according student test scores. Arne's turnaround plan proposes closing some 5,000 schools across the county and firing entire teaching staffs at schools perceived to be failing. These national initiatives were first developed by Arne in his role as CEO of the Chicago Public Schools (where he served from 2001-2008) for his "Renaissance 2010" program that consisted of closing down dozens of schools, predominately in Black neighborhoods, and converting many to charter schools or military academies. At numerous school board meetings and protests, teachers, students and community members warned Duncan that the reckless closing of schools would have dire consequences--from the loss of cherished neighborhood schools and union teachers to an increase in gang violence. Predictably, these education advocates were proven right. Student achievement stagnated, and deadly violence soared in the schools--with some 34 deaths and 290 shootings in 2009 as a result of students being transported to schools across gang boundaries. A study by the University of Chicago's Consortium on Chicago School Researchreleased in October 2009 examined the academic effects of the closings on students at 18 elementary schools shut down between 2001 and 2006. The study concluded that the vast majority of students went from one low-performing school to another, with no achievement gains--and in fact, even saw temporary decreases in test scores during the stressful period when the announcement of their school being slated for closing was made. Moreover, a massive study by Stanford University, looking at data covering some 70 percent of all charter school students nationally, found that bad charter schools outnumber good ones by a ratio of roughly 2 to 1--and an astonishing 83 percent of charter schools were either no better, or worse than, traditional public schools. The performance pay experiment that Duncan imposed on the Chicago Public Schools, known as the "Teacher Advancement Program," had equally dismal results. Merit pay schemes have long been criticized by teachers' unions and education advocates for driving teachers to narrow the curriculum to cover only what is assessed on tests--and for pitting teachers against each other for a limited pool of money, thus breaking down teacher collaboration and creating disincentives for educators to share effective teaching techniques. A report issued last May by Mathematica Policy Research on the merit-pay program that Arne initiated in Chicago reveals that paying teachers according to test scores didn't increase student achievement whatsoever. Thus, every major initiative that Arne Duncan is currently advocating on a national level has been shown by non-partisan research institutions to be ineffective at best. ONE TEACHER from Detroit opened our meeting with Arne by summarizing the results of our "pre-assessment," saying, "What you are doing is stepping up privatization, charterization, and segregation and inequality...and you know that." Our "lesson" then began by providing context to our essential question: What is a quality education? I explained that I was a seventh-grade humanities teacher in the Seattle Public Schools until the budget cuts hit, and I was laid off. I then expressed my displeasure with his decision to reject a call from Congress to tap some of the Race to the Top funds in order to save some of the projected 200,000 to 300,000 teaching jobs that will be cut in the upcoming school year. Mr. Hagopian: I really need an answer to my questions about the recent Stanford study that was funded by the Walton Family. As soon as that study showed that charters underperformed public schools, I don't know why you didn't change policy. Arne: There is a real mix of charter schools. You have good charter schools, you have medium charter schools, you have bad charter schools. And so I just think we need more good schools in this country...I have said good charter schools are part of the solution and bad charter schools are part of the problem. So you can't tar or paint everyone with one brush. The reality is much more complex than that. Mr. Hagopian: I've heard that response that you have given, but what still doesn't make sense to me is...that the problem with charters is that you put public funds under private control. So if public schools on the whole are outperforming charter schools on the whole, then why don't we use the system where public funds stay under public control, and then we bring in innovation and resources to the public schools?...What is the advantage of charters? As I looked around the room, I noticed my educator colleagues taking mental note that Arne clearly hadn't done his homework on the charter school issue--and thus provided an incomplete answer that could impact his overall grade for the lesson. I realized then that I needed to step in with some facts to help scaffold this activity for Arne. Mr. Hagopian: I [have also] taught in Washington D.C....I taught 10 minutes from the White House--I would drive by the White House, and then I'm in a school with a hole in the ceiling, and it rains into the class. Then I would get charter school students who were kicked out of their school come November. But what happened? When they get kicked out of their school, the funds don't follow them. The funds stay in the privatized charter school, but my class size rises. That is a flawed system that has to change. Our lesson concluded with an informal summative assessment of Arne's analysis of our essential question about "What is a quality education?" Chicago teacher Danielle Ciesielski began the assessment by questioning Arne about his support for scripted lessons in Chicago that eliminated teacher creativity, ended project-based learning and narrowed the curriculum to pre-approved seminars. Arne: To be clear, we [the Department of Education] want curriculum to be driven by the local level, pushing that. We are by law prohibited from directing curriculum. We don't have a curriculum department. Arne: I will. No one is mandating merit pay. Arne: Can I finish? It's a voluntary program. Schools and districts and unions are working together on some really innovative things. ARNE'S NON-answer to my direct question was troubling, and I hoped my rhetorical question at the end of this exchange would push him to a deeper understanding of our topic. While Arne's performance during our lesson was disappointing, none of us educators were surprised, given his chronic absenteeism from the realm of pedagogy. As a spokesperson for Arne recently admitted to the media, his only instructional experience came as a youngster when "his mother ran an after-school program for underprivileged kids in a church basement, and he was both a student there and a tutor." Parents: Don't let Arne close your child's school. If the federal government can bail out the banks and find the money to bomb children in Afghanistan, then we know there is enough money to build a world-class education system in your neighborhood. Demonstrate and speak out for the funding your school deserves rather than let it be shut down or privatized. Students: You are not a number generated by a Scantron machine. You are a passionate, creative young person who can change the world. Refuse to be categorized solely by a test score and demand an education that speaks to who you are and what is important to your community. Teachers: Unions brought us the weekend. They are indispensable, don't let Arne bust your union. Fight to make your union stronger. Replicate the success of the Caucus of Rank-and-File Educators in Chicago--the reform caucus newly elected to run the Chicago Teachers Union--with its vision of social justice education and social movement unionism in unflinching opposition to those who would seek to profit off of the public schools. With this action plan of parents, students and teachers finding common cause in building their own vision of a quality education apart from that of Corporate America, Arne Duncan may, despite himself, get the education he so desperately needs. Victory Schools Hire; Converting to Non-Profit? TFA: "elite brand that will help build a résumé"